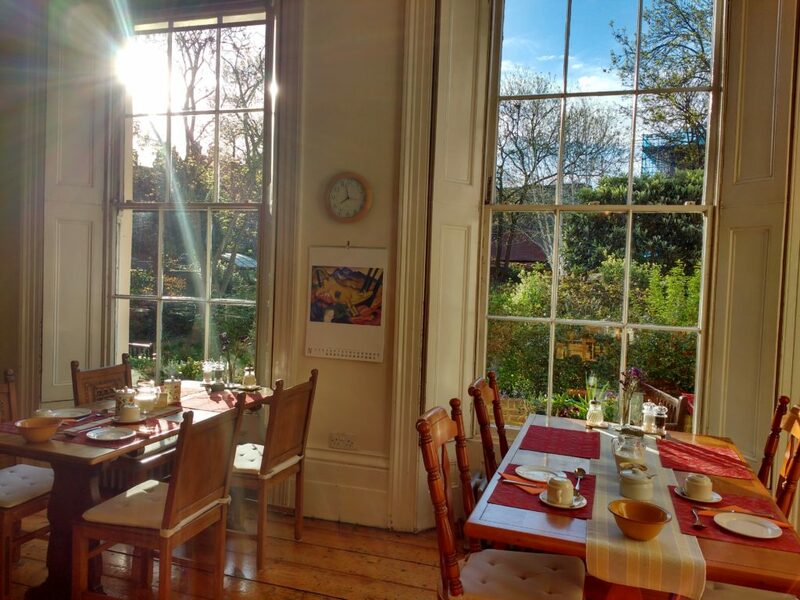 The Frank Brangwyn Room is a recent extension to the guesthouse. It is a modern and double bedroom, tucked away at the furthest corner of the house on the second floor and offers privacy and maximum comfort. It is furnished with a Queen sized bed, built in wardrobe, desk and chair, two easy chairs and table and a coffeemaker. With big windows on both sides and glass doors leading onto a private balcony with table and chairs, the room boasts views to both the garden and courtyard. Our deluxe double rooms are spacious and luxurious rooms, with high ceilings, a lovely wooden floor and heavy curtains. Windows face south east direction and overlook the garden. -Rembrandt room is influenced by the graceful mood of Rembrandt’s paintings. It is elegantly furnished with antique dark wooden furniture’s. Private external bathroom solely for the Rembrandt room occupants is opposite on the corridor. -Sombart room, honouring Ninetta Sombart is a light and bright, spacious room like the artists mystic watercolour paintings. 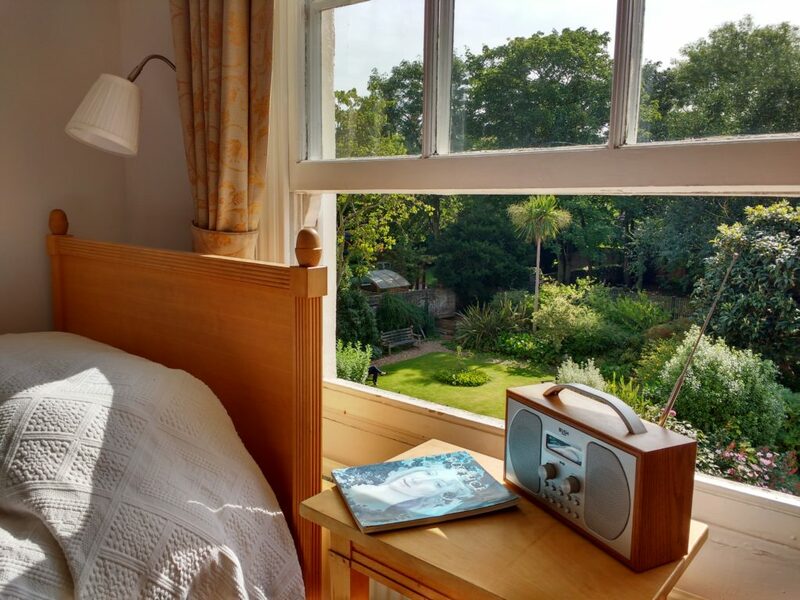 It is furnished with a Queen sized bed and has a splendid view over the garden. It is possible to add an extra folding bed inside the room for additional £11. Private shower is inside the room but the toilets are shared and are kept immaculately clean. Our small double room is located on the west side of the building and named after the Italian painter Raphael who’s work is admired for its clarity of form. The room is neatly furnished with a cupboard and wall shelves, easy chair and table, luggage stand and washbasin with hot and cold water. A small window looks out to the west over the treetops of the courtyard.